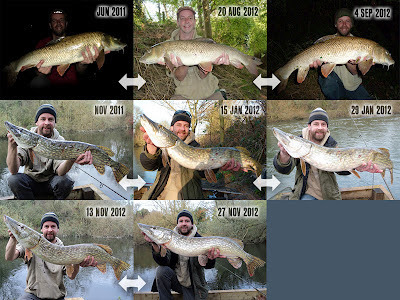 Pike Blog: How Many Fish Have You Caught? If, like me, you're not a professional angler, have a job and other commitments, you often have to squeeze a few hours fishing in when and where you can. When I can only spare a few hours I head for the local river. Fish roam around but fishing the same stretches you're bound to bump into the odd fish more than once, but I wonder how often it happens? Some fish are specimens, with closely studied photos, some have distinctive marks and are easy to recognise. 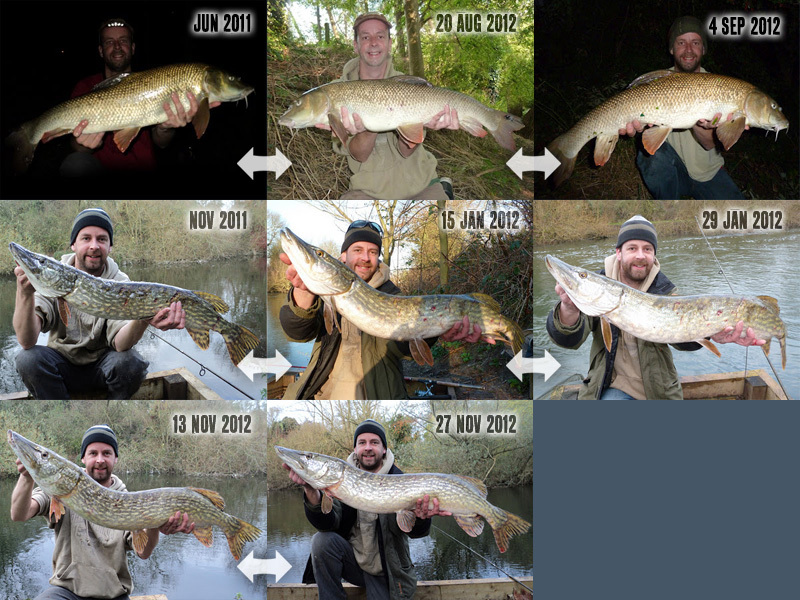 But would you recognise an average size, none distinctive fish next time you caught it? Probably not. Crap! I was warned not to mention the time travel, now I'm going to have to go back and not do it. A very interesting thought. I have had two repeat captures of Red Drum over the last few years and on Sunday I caught a tagged Red Drum. So that makes 3 reds plus two tagged sharks in the last 6 years. In addition to that I fished with a friend last November who also got a tagged Red. So thats six fish total recaptured in the vastness of the Atlantic. Five of those by just one angler, me. So in a river, especially a small river, the odds really should be high of recaptures. Another good argument for keeping the closed season perhaps? Recaptures in the Atlantic, we stand no chance!